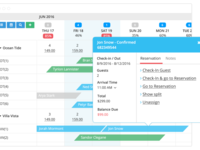 Cloudbeds is designed to improve the lives of independent property owners including, but not limited to, hotels, hostels, bed and breakfasts, inns, vacation rentals, apartments, campgrounds and more. 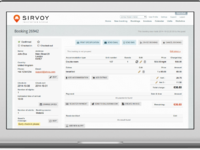 Sirvoy is a highly customizable Property Management System and Channel Manager designed to suit all accommodation providers. User friendly and feature rich software with a surprisingly tiny price tag.